Trilium is provided as either desktop application (Linux, Windows, Mac) or web application hosted on your server (Linux). If you want to use Trilium on the desktop, download binary release for your platform from latest release, unzip the package and run trilium executable. 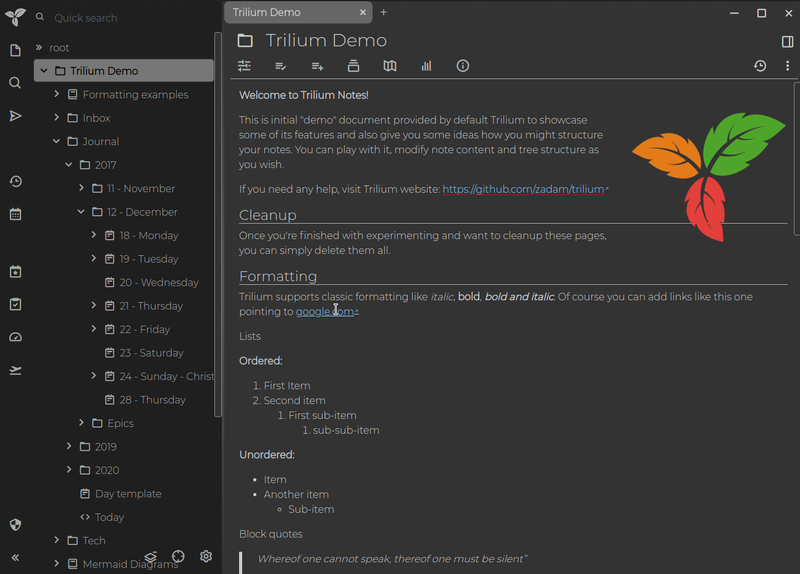 If you want to install Trilium on server, follow this page. Currently only recent Chrome and Firefox are supported (tested) browsers. See wiki for complete list of documentation pages. You can also read Patterns of personal knowledge base to get some inspiration on how you might use Trilium.